The Canon Powershot G1X Mark II manual-user guide that comes with the camera is useful in some ways and a little disappointing in others. If you find it difficult to get interested in reading the G1X Mark II manual you're not alone. 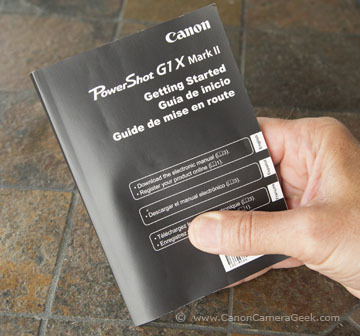 I strongly suggest that taking just 10 minutes to flip through the table of contents and explore a few chapters will instantly give you a better understanding of the power and capabilities of your Powershot G1X Mark II camera. You' really be glad you did. You can also download a version of the manual as a pdf and save it to your computer for easy reference. Here is the link to the pdf page for Canon Camera Manuals. These are the free down-loadable user guides written by Canon. 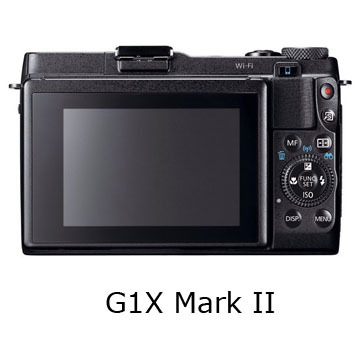 The printed manual for the G1X Mark II has 86 pages of English and equally sized sections in both Spanish and French languages. The pdf version has 240 pages, all in English. Since the pdf has horizontal pages, the layout is more pleasing to the eyes. The image below is a screen shot from the pdf users guide on the Mark II. 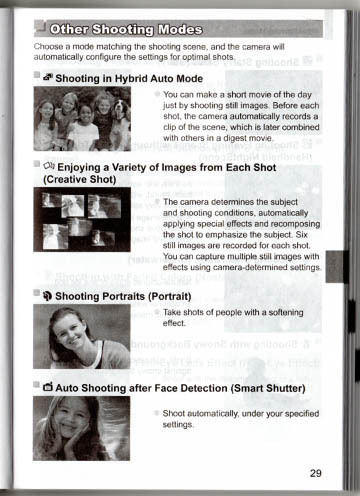 The photo below is a scan of one of the printed pages in the manual that comes when you buy the camera. It is printed in black and white. Which would you prefer to spend reading? You can zoom out or to take a close look at the directions and images on any page. 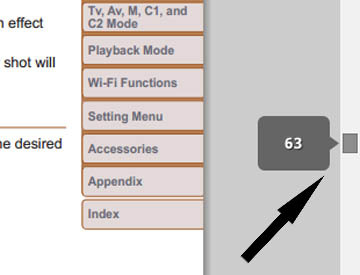 You can hit a quick link on the right side of any page to get to any chapter in the user guide you wish. On the far right of your pdf reader, you can also slide up or down to any page. When you click on one of the chapter tabs you are taken to the first page of that section that has a list all of the specific topics and pages within that chapter. Clicking on the page number gets you directly to that topic instantly. 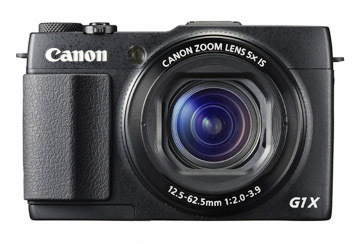 The printed Canon Powershot G1X Mark II Manual that comes along with the camera is lame. In its defense, it does do an adequate job of identifying the control buttons and dials on the G1X Mark II. 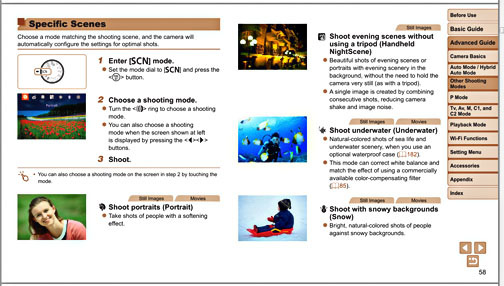 It also explains all of the modes and functions that the camera can perform. It just feels like it was written awkwardly. It falls short by allocating a lot of confusing coverage and instructions on setting up the WiFi. This is a business website for me and this page may contain affiliate links that help me pay for this site. Please review the affiliate statement at the very bottom of this page before you buy any product that I recommend. www.canoncamerageek.com is NOT associated with Canon Inc. or any of its subsidiaries. DISCLOSURE STATEMENT: Thank you for supporting the Canon Camera Geek website. This page may include affiliate links. When you click on any of these types of links on CanonCameraGeek.com and decide to buy something on Amazon, ShareASale, Adorama, Ebay, E-junkie or other similar affiliate sites, CanonCameraGeek.com may receive a commission on the sale. It doesn’t cost you a penny. It is a way that I receive some financial compensation. I provide free content on this site. I am required to tell you that as an Amazon Associate I earn from qualifying purchases.